We’ve been hearing for quite some time now that Apple is going to release iPhone 5S this year. We’ve seen the company take this route twice before, when it releases a smartphone with minor updates and identical design to its predecessor. A new report pegs iPhone 5S release date on June 20th, coinciding with previous rumours that an announcement in this regard will be made in Summer, possibly during the Worldwide Developers Conference 2013. So that settles it for iPhone 5S release date, but since it is a rumour, we can’t count on it to be entirely true. 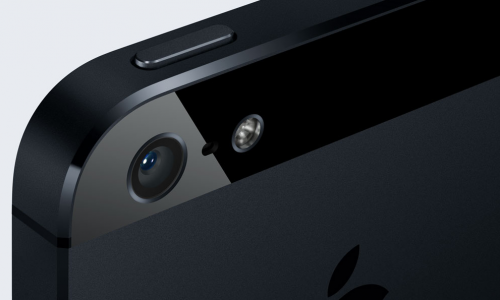 The same rumour suggests that shipments of iPhone 5S will begin in July. It also briefly touches on the hotly debated cheaper iPhone. Apparently Apple is going to release a mid-range iPhone to target developing markets where Android devices from a multitude of developers currently reign. Apple has certainly deviated from its clinical release cycles. We saw the company release two iPads in less than seven months. We saw it change iPhone release cycle to fit the holiday shopping boom. We also saw the company release a smaller iPad, something which we thought the company would never do. This makes it clear that the company is adapting to changes in the market, and it can do a lot more for itself and the market by releasing a cheaper iPhone. The timing is certainly right. Major manufacturers such as Samsung and HTC have already announced their new flagship smartphones, all with next generation hardware, the kind that iPhone 5 does not have. It seems logical for Apple to release a new smartphone with bumped up hardware so that Android doesn’t take the lead in the market. Since June is a bit far off, I’m not entirely sure about this iPhone 5S release date. It is a little too early to consider this to be true.